Monday was a “clean out the cheese drawer” and make skillet mac & cheese kind of night. we call them icebox adventures here–i love the clean out the fridge days. My husband is out of town so I’ve been using his absence as an excuse to clean out my freezer. We’ve had two nights of leftovers and on tomorrow’s menu is mac & cheese as I, too, have some cheese ends in the fridge. I also have some leftover ham from the freezer that I’m going to throw in. 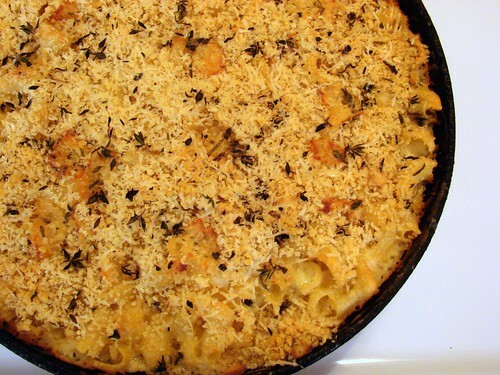 Your mac & cheese looks delish! 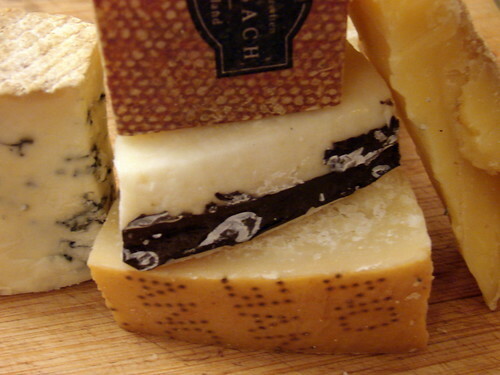 So when you empty out the cheese drawer, what is the secret to rehabilitating the cheese? I have some ends, but they are rock hard and slippery enough that grating them is frustrating… but I can’t throw them away! Man, I wish I had a cheese drawer to clean out on occasion! 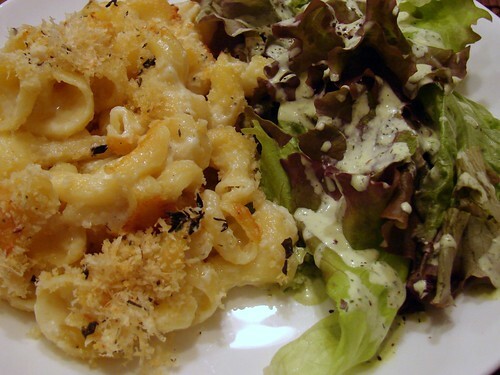 As always, your mac and cheese looks absolutely divine. Every night could be mac and cheese night in my house! That’s one helluva cheese drawer !!! Looks wonderful. I have spent the past 3 years tweaking my mac and cheese so that it is our go to “comfort” meal. I love the idea of the skillet and will definitely try it. 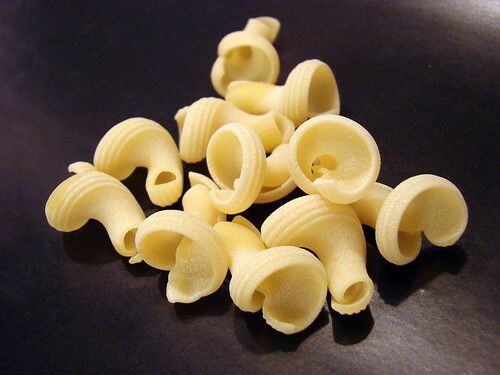 i love the shape and texture of the pasta you used – it looks perfect for catching and holding the cheese and crumbs. i am in no way capable of keeping cheese around long enough to amass anything like that delicious looking collection… but I’m happy to make a special purchase for a good mac ‘n cheese – and that looks like a delicious one!